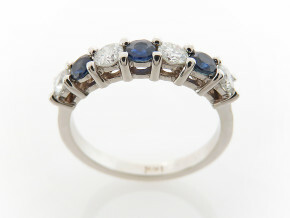 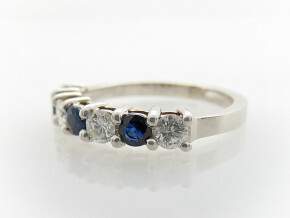 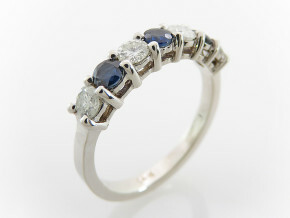 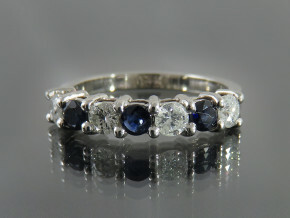 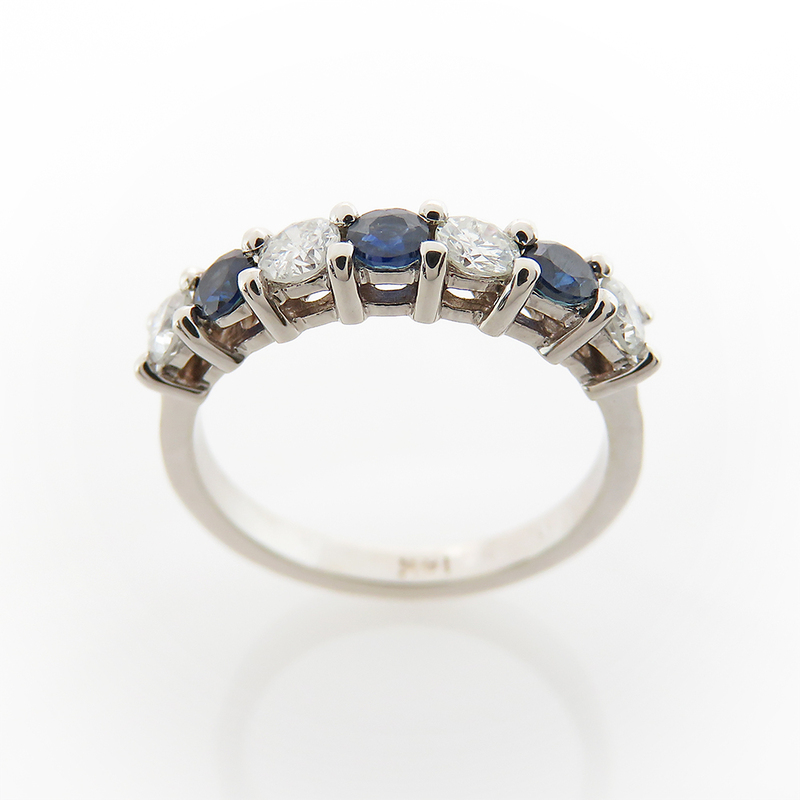 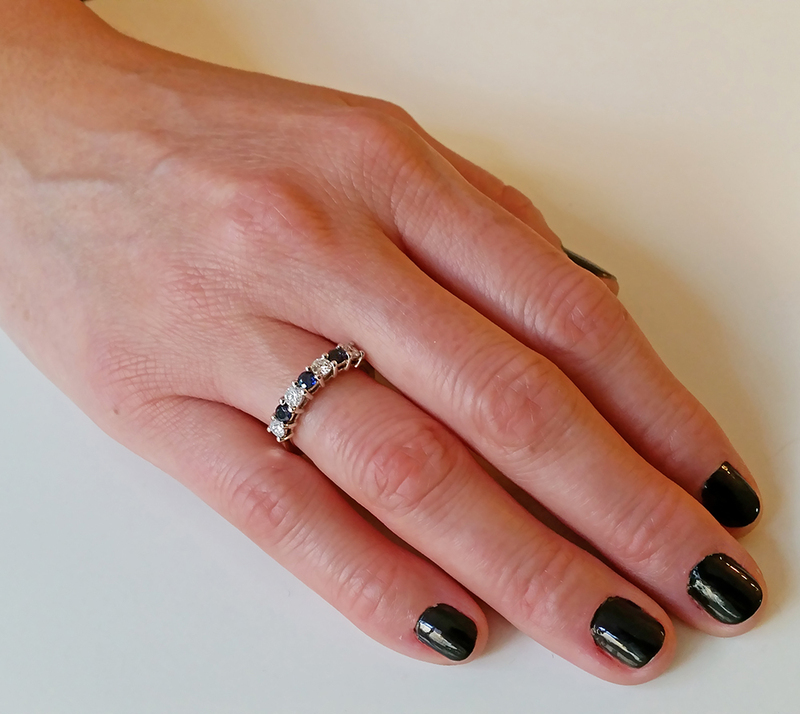 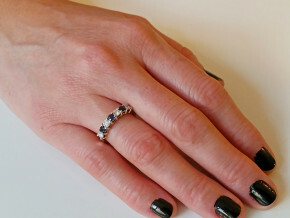 This gorgeous diamonds and sapphires ring is a 14K white gold Half Eternity Engagement Ring. 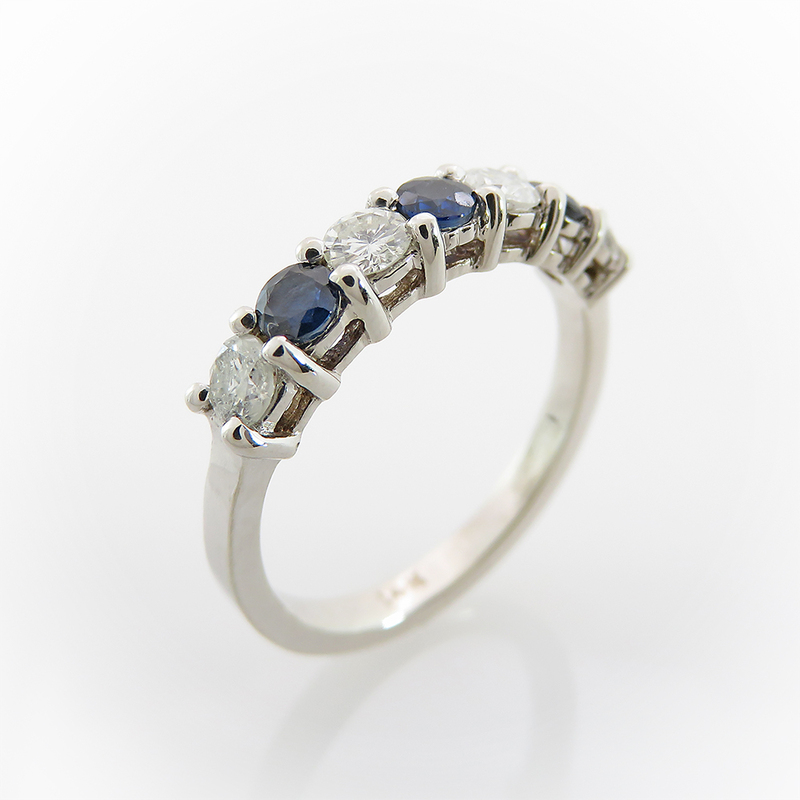 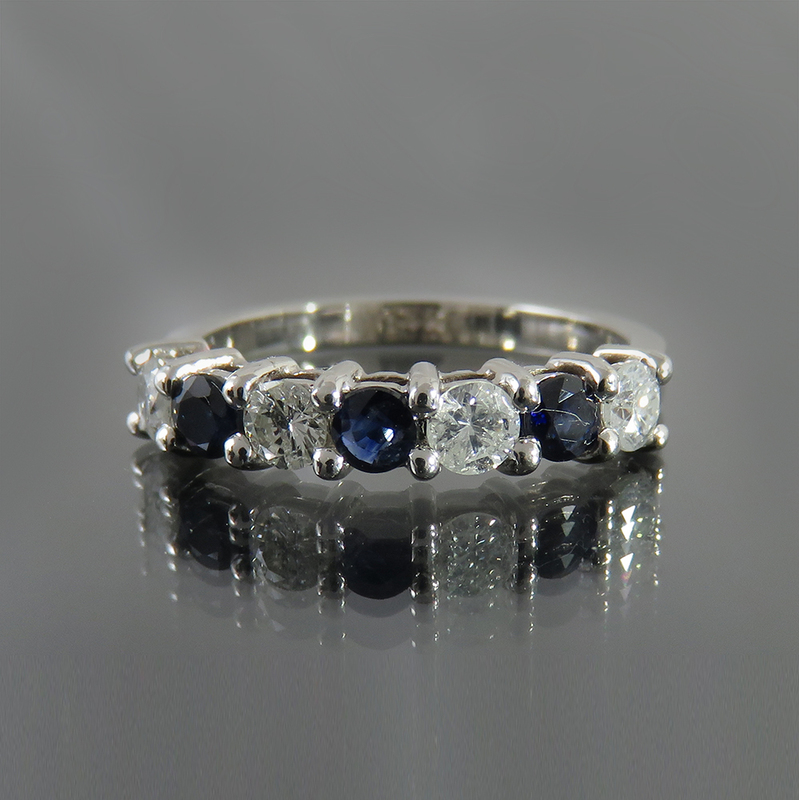 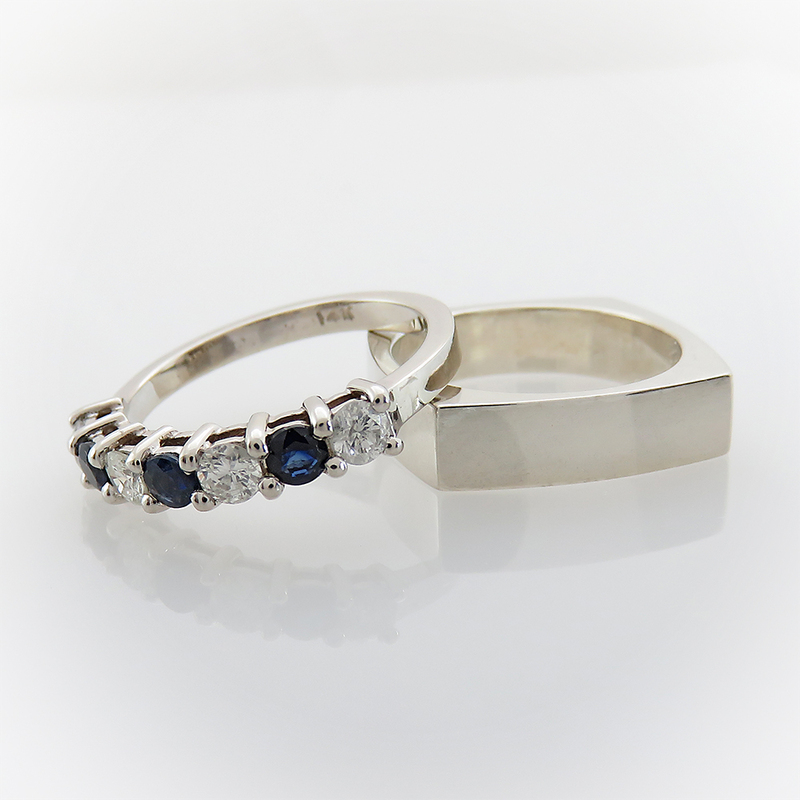 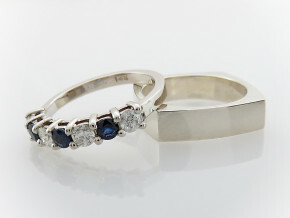 4 beautiful diamonds are set, in a shared prong setting with 3 stunning blue sapphires. If you love the modern and popular Eternity style but prefer something unique for your love, you will appreciate this handmade delicate and beautiful wedding ring that I designed. 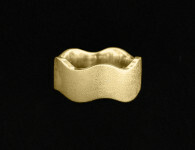 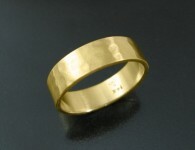 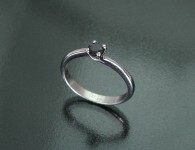 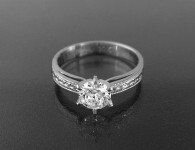 Category: All Rings, Engagement Rings, Rings.